Diamond Symmetry | How is Diamond Symmetry Graded? Documented in a diamond’s certification, the symmetry refers to how symmetrical the facets and angles are in a diamond, and how precisely those facets align and intersect with each other. Often paired with Polish in a grading report, the symmetry of a diamond dictates the overall finish and quality of a diamond’s appearance. A diamond with symmetry will direct light correctly and (in a small way) contribute to the final brilliance of the stone. To begin building an understanding of symmetry and its final effect on a diamond, it is important to understand the relevant features and facets of the stone being assessed. For simplicity, I will be using a round brilliant in all the examples given. How is Diamond Symmetry Graded? During the cutting process, an expert cutter will sometimes make the decision to sacrifice perfect symmetry in order to achieve the maximum value out of the rough stone. These decisions often prioritize carat weight retention, but also allow for a finish that will eliminate flaws within in the diamond. Fair – Any defects are visible at 10x magnification and may be visible to the naked eye. Lustre affected. Poor – Defects are visible to the naked eye. Lustre severely affected. It is very rare to see an accidental symmetry flaw in a diamond with a Cut grading of ‘Very Good’ or above. It is far more likely that a skilled cutter has deliberately made this decision to benefit the finish of the stone. A diamond with an overall cut rating of ‘fair’ can still hold a symmetry grade of ‘very good’. The final cut grade can be much lower than the symmetry. However, the cut grade can only ever be one grade higher than the symmetry grade. For example, a diamond with a symmetry of ‘very good’ may still hold an overall cut quality of ‘excellent’, if the other factors deem it to be within the parameters of ‘excellent’. When considering symmetry as a single influencer, it does not have a large impact on the price of a stone. Rather, it is all the factors that come together to determine the diamond’s Cut quality that will have a greater influence on the cost. Off Girdle – This affects the outline of the stone. The diamond may not appear perfectly round (when using round brilliant as an example), and may have squared off edges. Off-Centre Table – When viewed from the crown, table facet is not perfectly centralized. Off-Centre Cutlet – Point where the pavilion mains meet is not centralized. Wavy Girdle – Girdle appearance is not consistent and instead has a wave-like appearance. Girdle Variation – Irregular girdle width around the diamond’s ring. The second subdivision of symmetry flaws is facet flaws. The ultimate goal is for facets to be regular, for example, pavilion main facets should look the same, bezel facets should look the same, and so on. Non-Pointing Facets – These are facts that do not meet up precisely at the necessary points. Truncated Facets – Facets that do not meet or end correctly at the girdle. Table not a regular Octagon – Unequal or irregular table facet. Missing of Additional Facets – Facets have been removed or added to remove inclusions (at the cost of the symmetry). How Important is Diamond Symmetry? It is fair to assume that with facets lining correctly, and an excellent symmetry grade, this would automatically guarantee a fantastic light return and overall sparkle to the stone. This is not the case. Light return is hugely influenced by the initial cut of the diamond, that is to say the size and depth of the table, crown and pavilion angles, and other aspects which are determined prior to symmetry and polish. As I mentioned before, a diamond with a high symmetry grade can still be given a much lower overall cut grade. A diamond with ‘Very Good’ symmetry can still appear brilliant and full of life if the other factors compensate; and a diamond with ‘Excellent’ symmetry can appear dull and lifeless if the relevant proportions are lacking. When looking at diamonds with a symmetry grading of ‘Good’, or above, the naked eye simply cannot see the small flaws or differences. An expert using a 10x loupe may be able to distinguish between a ‘Good’ and ‘Excellent’ grading, but if you were to look at two stones side by side, that were identical except for symmetry, you simply would not be able to determine a difference. Although the visual impact seems minimal, the symmetry of a diamond can have an impact on the final value. It is important to note that these price variations are only really felt when a diamond has ‘Fair’ or ‘Poor’ symmetry. These grades have a much larger visual impact on the diamond, and their flaws can present the appearance of dark spots and a misshapen stone. When considering diamond symmetry in any capacity, the greatest variations and noticeable differences will always be most identifiable at the bottom of the spectrum. If you are considered a Hearts and Arrows diamond, rest assured that an excellent cut, symmetry and polish are a prerequisite for this optical patterning. An excellent cut grade does not mean a round brilliant will display the desirable Hearts and Arrows patterning, but Hearts and Arrows patterning does indicate an excellent cut. The nature of a Hearts & Arrows diamond demands the most precise proportions and symmetry, with only the best diamonds qualifying as a true Hearts and Arrows stone. Ultimately, the cut proportions are always going to have a greater impact on the visual finish of the diamond. The overall cut grade will encompass symmetry; therefore, this should always be at the center of your decision. If you want a high-quality stone, look at diamonds with a symmetry grade of ‘Very Good’ or ‘Excellent’, as the differences between the two are indistinguishable to the naked eye. The symmetry of a stone should not be the primary factor when choosing a diamond, rather it should be used as a deal breaker when looking for the best quality diamond possible. 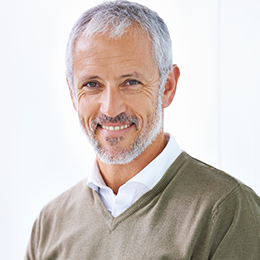 Leading online diamond sellers will have the symmetry information display in their diamond listings, so as long as you stick with reputable jewelers like James Allen, Whiteflash or Blue Nile then you’re in safe hands. Companies like Whiteflash offer their own specialized H&A diamonds, ones which have been cut to a Super Ideal grading, giving optimum light reflection, superb symmetry and breath-taking fire. 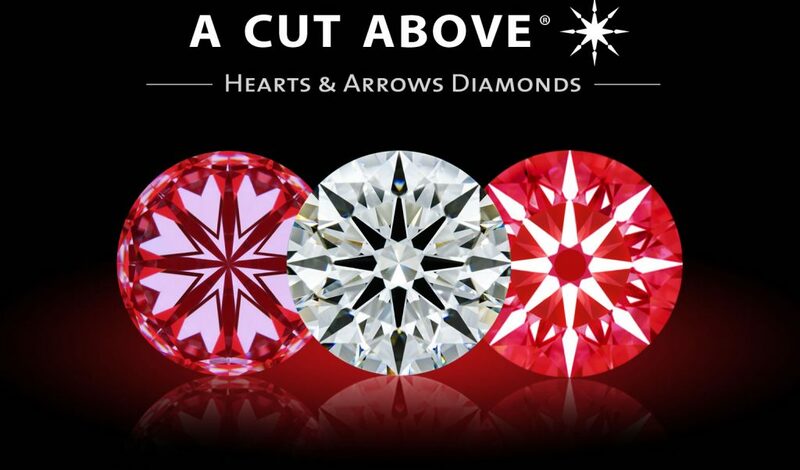 Whiteflash’s A CUT ABOVE® Hearts and Arrows Diamonds are of the highest quality and cut standard. Hearts on Fire also offer H&A cut diamonds, as do James Allen with their True Hearts Line.